Complete your look with the timeless glamour of this gorgeous pearl Necklace, Bracelet and Earring set. Two pearl stud earrings complement the luxurious individually knotted 18-inch pearl strand necklace and 7-inch pearl bracelet. 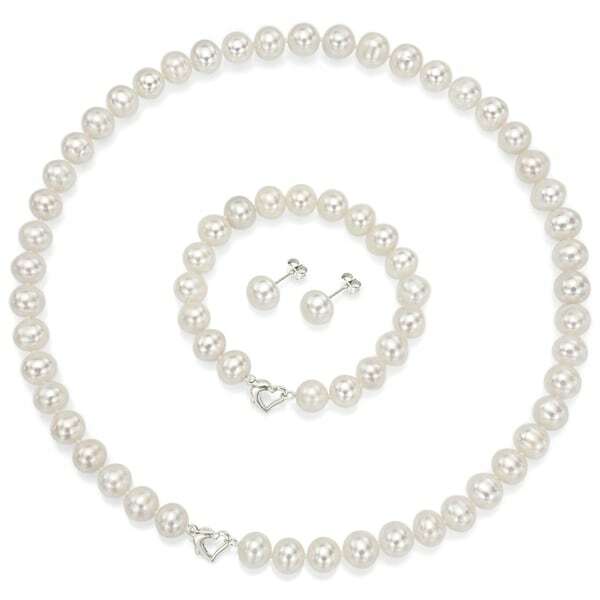 The AA-grade freshwater pearl strand is secured in place with a unique heart-shaped clasp for a luxurious appearance.